Whitney Houston was a global superstar, a legendary pop icon. She was the most awarded female artist in music history with one of the greatest voices of all time. However, despite making millions of dollars and garnering more consecutive number ones than The Beatles, she never felt free to be herself and, tragically, died at just 48 years old. Made with largely never-seen-before footage and exclusive live recordings, Whitney “Can I Be Me” tells Houston’s incredible and poignant life story with insights from some of those closest to her. After starting with the inevitable emergency services call, Nick Broomfield's documentary moves chronologically through the life of Whitney Houston. However, Whitney "Can I Be Me" never lets you forget the end of this story - tingeing Whitney's meteoric rise with the sense of impending tragedy. Combining footage from a documentary that was never released with archive recordings and camera interviews, we learn about Whitney’s childhood in New Jersey and her relationship with her mother, soul and gospel singer, Cissy Houston, and her father, John Houston. It didn’t take her parents long to understand the potential of Whitney’s incredible talent. Her voice (as a stunning recording of Whitney, aged 12, singing in church shows) is described as a gift from God. That 'gift', however, came with a heavy price. For, having been ‘discovered’ by music mogul, Clive Davis, Whitney was moulded and manufactured into a global pop icon - one acceptable to mass (predominantly white) audiences. She was told what to sing, how to dress and who to date. Broomfield's film suggests that Whitney was bi-sexual and involved in a serious relationship with her best friend, Robyn Crawford. However, this relationship was not permitted by her mother or her management and had to be repressed. According to the documentary, the start of Whitney’s tragic fall came after she was booed at the 1989 Soul Train Music Awards. She was criticised for turning her back on her musical heritage and selling out. It was on this same night that she met singer, Bobby Brown. Brown has often been blamed for Whitney’s demise. However, the film suggests that the reality of their relationship was far more complex. Indeed, in the beginning, Whitney felt that she could only truly be herself with Brown. The couple shared a similar background (albeit Brown grew up in Boston) and had much in common. However, their relationship soon became toxic. Friends and colleagues recall that Whitney - who had experimented with drugs since her teens - introduced Brown to drugs while Brown introduced Whitney to alcohol. A truly tragic combination. Whitney was also consumed by her love for Brown - despite his many, well publicised affairs. However, Brown was jealous of Whitney’s success and her love for Robyn Crawford, both of which caused a major rift in their marriage. 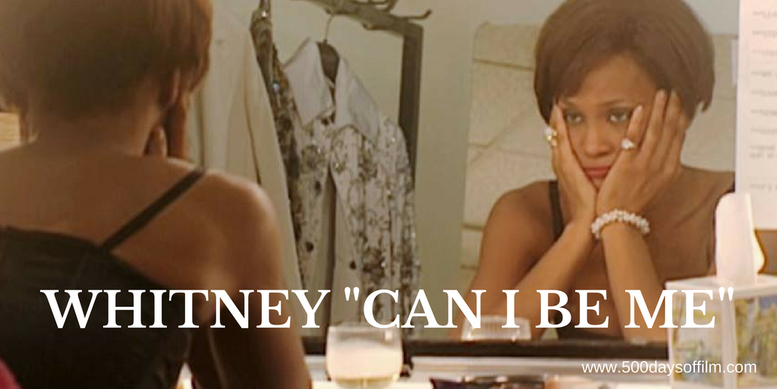 Whitney “Can I Be Me” documents the unbelievable pressures on the singer’s life. A controlling mother, a father who sued her (via his company) for $100m, a toxic and tempestuous marriage and an escalating drug addiction. In addition, Robyn Crawford eventually left Whitney - unable to live with her and Brown any longer. Even the birth of her much loved daughter, Bobbi Kristina (seen here in really poignant and unsettling scenes), could not prevent Whitney’s downward spiral. As in Asif Kapadia’s (albeit superior) documentary, Amy, about the life of singer Amy Winehouse, even though we know how this story will end, we wish that someone would intervene. And there were many opportunities to do just that. Whitney’s longtime bodyguard, David Roberts, tells how, after the singer overdosed while making the film, Waiting To Exhale, he wrote a detailed report on her drug addiction and his concerns for her health. He then sent it to all those responsible for managing her life and career. Their response was to terminate his role in Whitney’s life. The anger he feels at this lack of action is palpable. For him (and others), it just wasn’t in the interest of Whitney’s team to step in and try to save her. While she was their beloved daughter, sister, lover and friend, she was also their livelihood. As a result, according to Roberts, it was only a matter of time before drugs claimed her and Bobbi Kristina (who, tragically, also died from a drug overdose, after being found unresponsive in a bath) never stood a chance. Could anyone have saved Whitney? Sadly, we will never know. However, perhaps it is now time to save her legacy and remember her not for her downfall but for her achievements and incredible vocal talent. Nick Broomfield is renowned for being ever present in his documentaries. However, in Whitney “Can I Be Me” he removes himself from the conversation. Indeed, we only hear his voice a couple of times in the film - a great stylistic decision from the director. Co-credited as director, Rudi Dolezal is the director of the unreleased Whitney Houston documentary, footage of which we see in Broomfield's film. Have you seen Whitney “Can I Be Me”? If you have, what do you think of this documentary? Let me know in the comments section below or via Twitter or Facebook (@500DaysOfFilm).